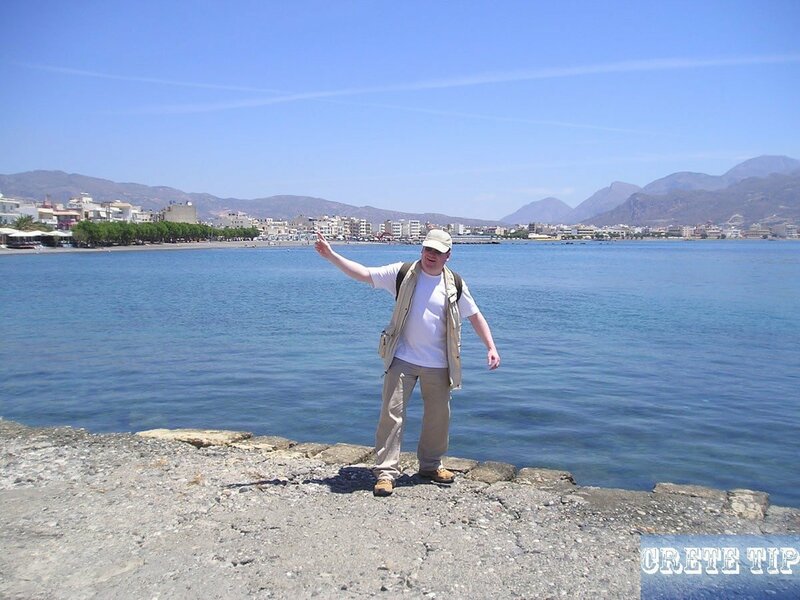 Ierapetra, the southernmost city of Europe with the mildest climate and most hours of sunshine. To Ierapetra you drive from Aghios Nikolaos through a plain that is intensively planted with olive trees. 5 miles before Ieraperta is the village of Episkopi, the previous seat of the Diocese of Ierapetra and Sitia. Ierapetra been named as after the nymph of the Libyan Sea, and is among the most remarkable cities in Crete, the 4th greatest in inhabitants and the most southern city in Greece and Europe. For the duration of ancient times the original city of Koryva or Kurva, rich in mythic traditions, had been on the spot of Ierapetra. Probably the Ketfiu, as the Egyptians called the ancient Cretans, sailed from there to the coasts of Africa. Afterwards, ancient Ierapytna was populated by Eteocretans and Do­rians and its cultural and economic develop­ment started following the Tenth century B.C., as is proven by its magnificent remains. Its top time had been throughout the Second century when in 146 B.C. it conquered the mighty oppo­nent Praisos and ruled most of southeastern Crete. In 66 B.C. Ierapetra had been shattered by the Roman legions as the last resistance center on Crete; however had been right away reconstructed and came to its finest levels in the course of the Roman rule. The city reached its peak as it became an important commercial centre for North Africa, the Middle East, Italy and Greece in the new province of Cyrenaica, which was formed by the Romans from Crete and Libya. During this period impressive monuments were erected, such as theaters, amphitheatres, temples, but there are not much remains left of them, except for piles of broken columns capitals and old stones, scattered all over the city, or used to construct other buildings. From here to our time and the appearance of tourism, the city was in a steady descent. In 824 it had been again wrecked by the Saracens who renewed it on their own due to its prominent location for their pirate raids off the Barbary Coast. The citadel we view nowadays had been constructed by Francesco Morosini in 1626 throughout the Venetian rule. However, as the Venetians preferred Sitia on the north-east coast as their administrative center, they paid little attention to the city. Even among the Turks, Ierapetra played only the role of the ‘backyard’ on Crete and they left behind the mosque and an Ottoman fountain. Today, Ierapetra can boast of many things as being the southernmost city of Europe with the most sun hours. But charm is not necessarily part of it, and the tourist does not have to do many things expect to lie in the sun during the day at the long and excellent beaches or to enjoy the stay in the hotels. Fort Kales pictured from the distance of ‘Long Beach’. Coastline and beaches east of Ierapetra. Shooting range close to Ierapetra. Ierapetras Archeological Museum, located within the previous Turkish school, is inadequately labelled as well as doesn’t require much time to visit, however does feature several high-quality exhibitions. One of the most important ones are plenty of Minoan larnakes, or clay coffins, the best example of which was excavated at neighborhood Episkopi. Dating from the quite conclusion of the Neo-Palatial period (c.1300 BC), it has amazing decorated panels, one of these shows a mare suckling her foal; various displays enjoy the harassing of the kri-kri, or wild goat, by hunting dogs. Keep an eye out too for a few fascinating Vasiliki ware, such as traditional vases and jugs, plus some potters’ turntables from the early Minoan settlement at Fournou Koryfi. The Roman and Greek area includes a collection of sculptures, mainly headless simply because early Christians tended to treat the stone craniums as spots where the presence of satan had been hiding. Yet another new finding, an excellent 2nd century sculpture of Persephone, keeping an ear of corn in her left hand, was able to hold on to her head, which is topped with a little altar encoiled by a pair of serpents, indicating her divinity. Information: located near Platia Kanoupaki, open Tuesday to Sunday from 8:30 am to 4 pm; Entrance fee 2 €. A remodeled citadel called the Kales protects the port. Apparently created by the Genoese pirate Pescatore in 1212, the existing construction is essentially a 17th century Venetian fort, afterwards used as well as revised by the Turks. Environmental as it is, it’s just a vacant shell, without any signs or anything else. Information: open Tuesday to Sunday from 8:30 am to 4 pm; Admission free. 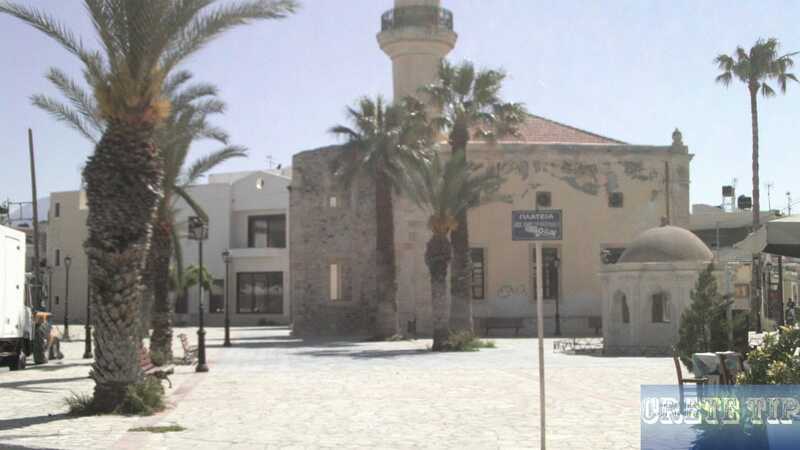 Tzami, the mosque of Ierapetra. 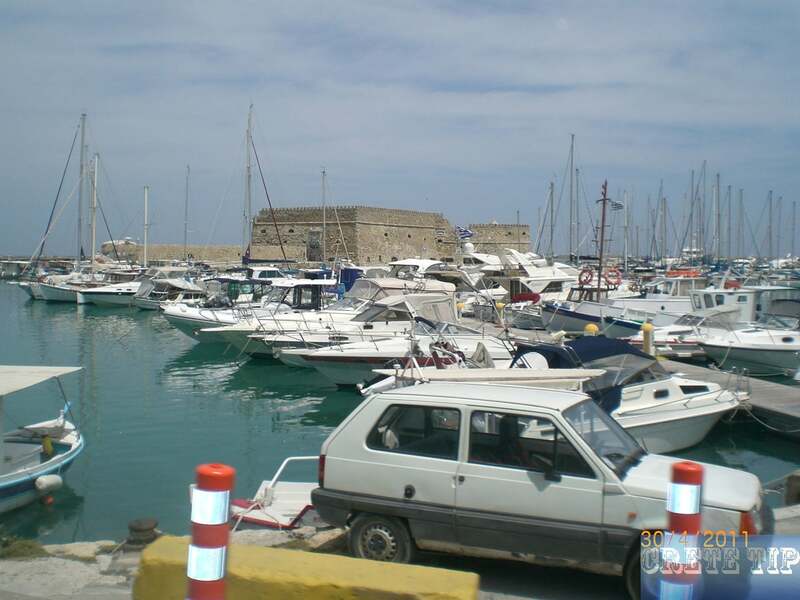 A network connected with small roads away from the sea at the old port makes up the old quarter.It’s possible to be get lost there, however it is so small that a matter of minutes afterwards you will come up at some well-known milestone. Locations to look for consist of Napoleon’s House, where Napoleon Bonaparte allegedly spent a night in 1798 on the way to Egypt, as well as the twin­ domed church of Afendis Christos, a 14th century constructing having a great carved and painted wooden iconostasis. In a tiny square close to an Ottoman fountain, the Tzami, or mosque, has been carefully reconditioned, which had been transformed into a church. It keeps a considerable chunk of its minaret as well as – inside – the initial mihrab. The ‘Long Beach’ of Ierapetra. Noticeably the superior beaches out there from Ierapetra are on Chrissi island, there is however a small community beach front within the centre in front of the old quarter, and much more along the coast in both direction, with fine bus services along the main streets to their rear. The majority of the tourist development is situated to the east, exactly where aptly known as Long Beach, a windswept range of sand (and the wind can definitely blow here) extends almost unbroken for 3 miles from the end of Ierapetra. You will find a lot more fine sand at Koutsonari, simply beyond. Overview of currently available hotels in and around Ierapetra at the best price! On the coast just before Ferrma. Between Koutsonari and Ferma – about 5 1/2 miles east of Ierapetra – is a sign with the reference ‘Roman Fish Tanks’ in front of the hotel ‘Kakkos Bay’. The outstanding Roman fish tank developed out of the rock close to the village of Ferma is some five sq.yd, with the sea even now sloshing through an age-old sluicegate in the bottom. The created steps leading into the fish tank would have been used by the fish dealers to net the fish asked by their clients; the pools within the adjacent stones were no doubt intended for the fish to be sold that particular day, while the younger fish might be fattened up within the bigger fish tank just below. The favourite method to get away Ierapetras usually stifling summer heat would be to make a boat trip to Gaidhouronisi – Donkey Island, usually best-known in the area as Chrissi – some 6 miles just offshore. A genuine desert isle a bit more than 2 1/2 miles long, having a great cedar forest along with a handful of taverns, Gaidhouronisi offers several superb sandy beaches and enough space to emerge from other people – even though you probably would not wish to miss the vessel back again. You can even have a full day-time cruise tours to Chrissi Island! There is a marked walking path across the island on which you will definitely notice a number of types of various fauna and flora, in addition to fossiols and also the incredible ‘Shell Beach’ covered with discarded shells from endless decades of molluscs, where absolutely no souvenir-collection is permitted. Western side of Ierapetra, in the southern portion of the province, a street goes, following the village of Gra-Lygia, towards the settlement of Stomios, the modern townships of Nea Anatoli, Ammoudares and Neo Myrto as well as the seashore community of Myrtos placed inside a rich natural plain, 10 miles along, decorated along with orange trees, bananas and green­houses and which is also of archeological attraction. East of the community, at the site Phournos, a Protopalatial settlement was excavated made up of eighty homes over an extent of 1,450 sq.yd. with splendid discovers such as the specta­cular Goddess of Myrtos. At the site Ayios Antonios, western side of the village, are the remains of Roman baths with mosaic floors while a farm-house from the Prepalatial time was excavated on the slope Pyrgos. Ierapetra has a distinctive one-way system and usually a lack of parking. The easiest way to solve the problem is to follow the signs to the ‘Archeological Collection’ and from there to the harbor, where there are numerous parking lots. There is also the Tourist Information Center, which is not always open due to the ubiquitous financial crisis. 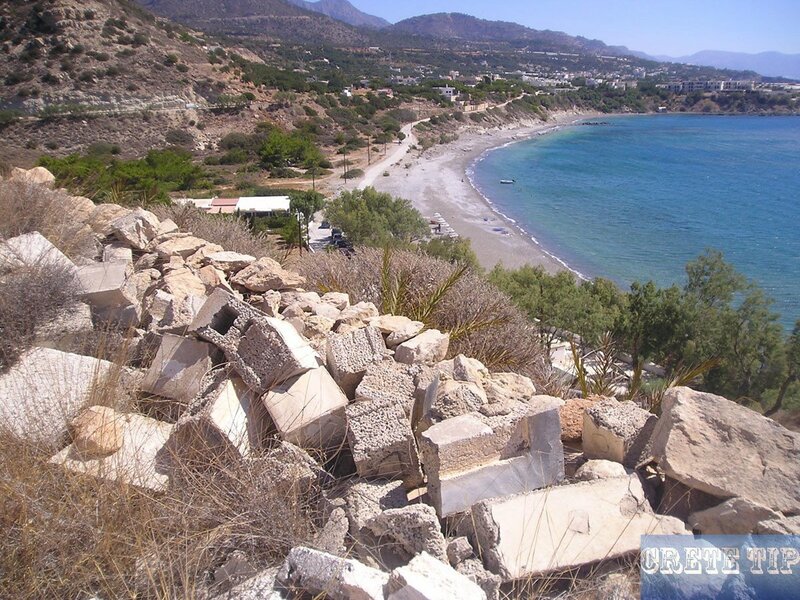 There is a plot for sale in Ierapetra. Tagged beach, city, tourism resort.